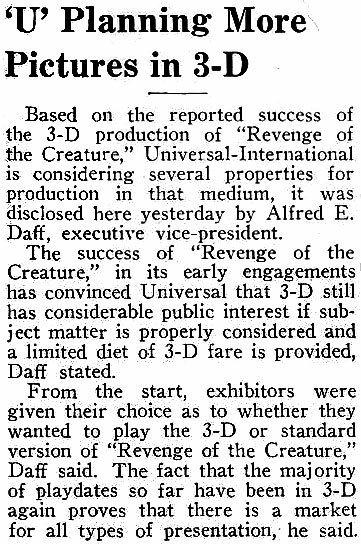 UPDATE: Here is an official statement from Universal. 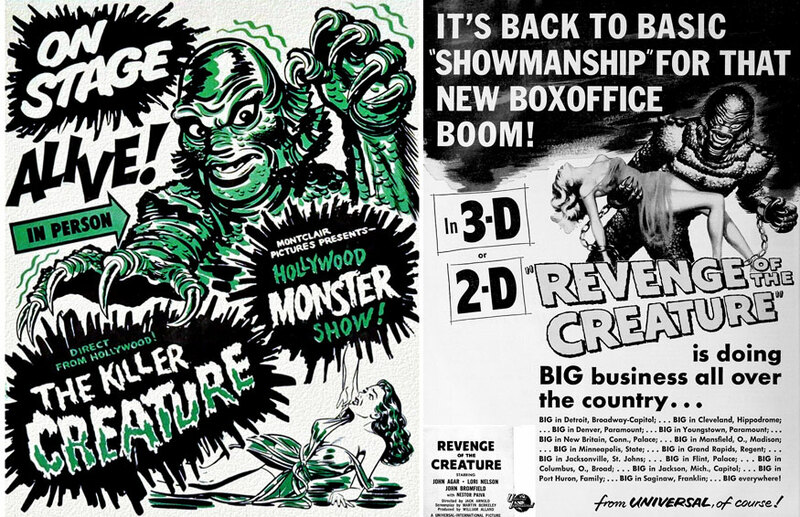 Universal Pictures Home Entertainment (UPHE) has identified a manufacturing issue which may affect the presentation of the 3D Blu-ray offering of the film Revenge of the Creature, released on August 28 , 2018 as part of the Universal Classic Monsters: Complete 30-Film Collection and the Creature From the Black Lagoon Complete Legacy Collection. 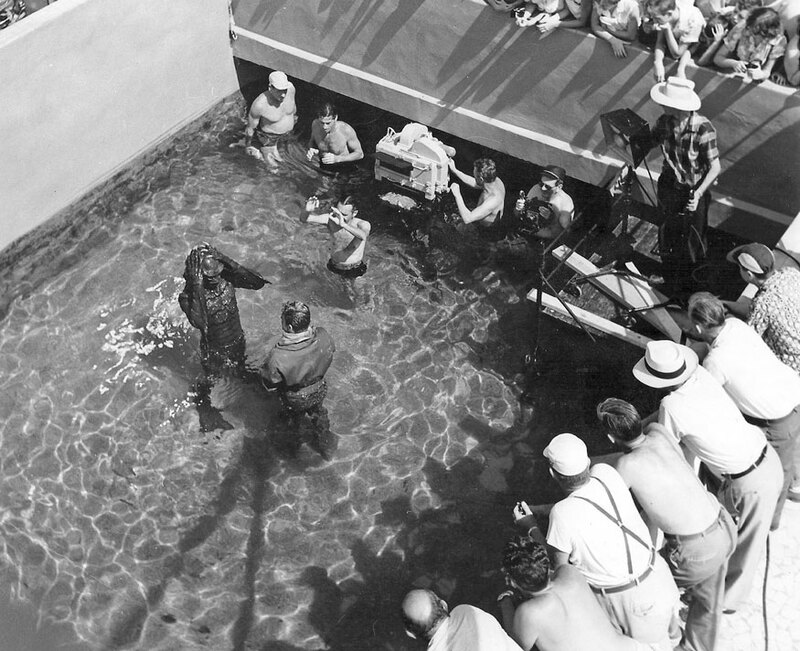 The issue is isolated to this particular film and does not affect any other discs in the collections. UPHE’s goal is to always deliver the best possible product to its consumers. 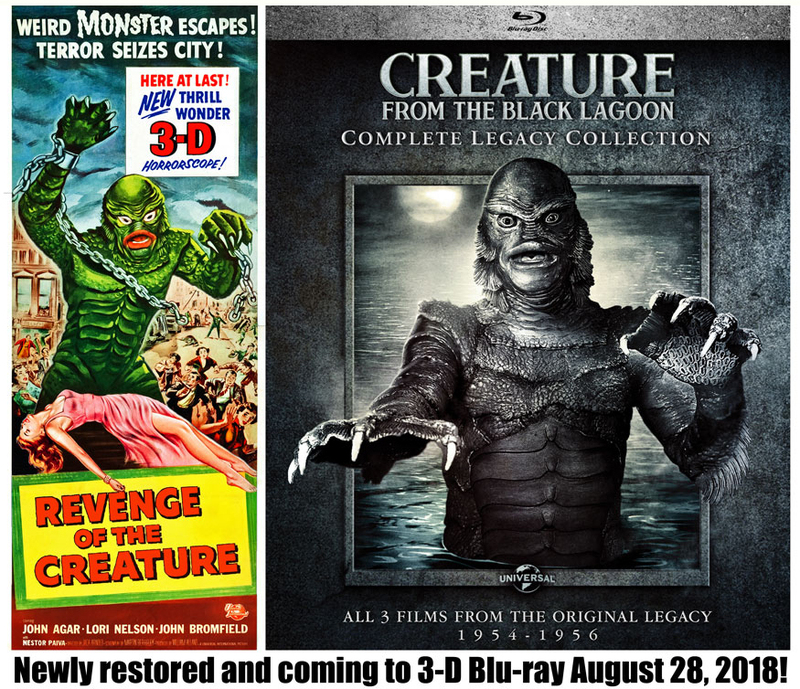 To that end, a replacement program is being established to ensure that those who have purchased either collection have the opportunity to receive a corrected Blu-ray disc featuring the 3D version of Revenge of the Creature and 2D version of The Creature Walks Among Us, should they encounter the issue. To receive an updated disc, please email USHEConsumerRelations@visionmediamgmt.com. 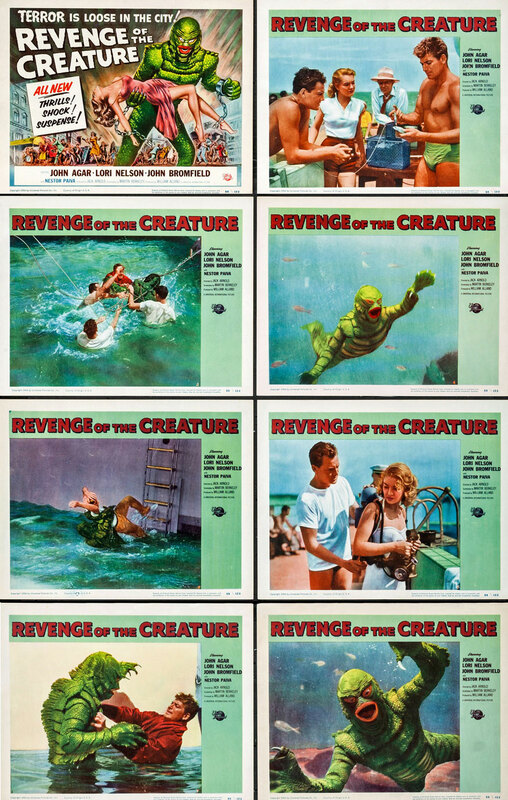 fully restored in widescreen 3-D! 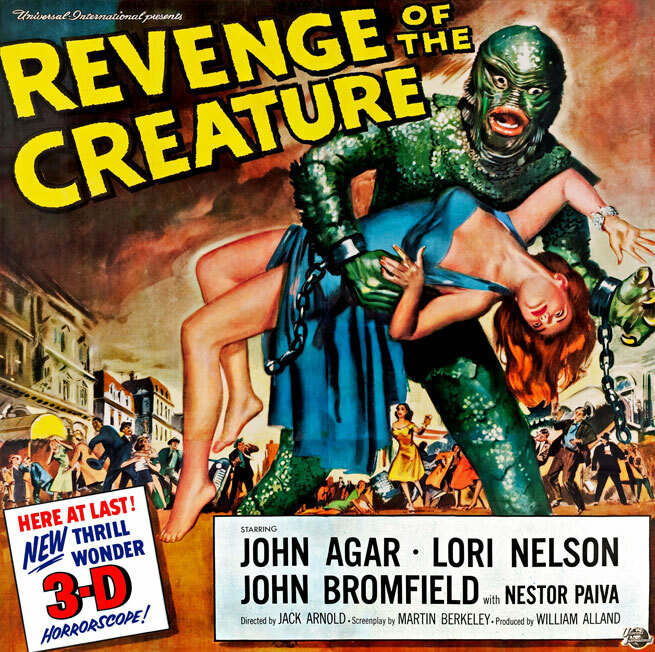 This film has not been seen in widescreen 3-D since the original theatrical release in 1955! 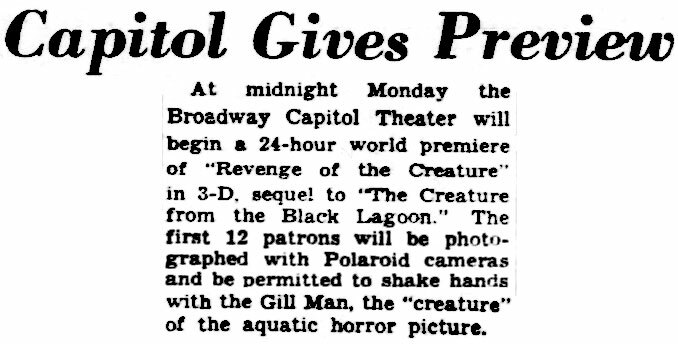 The world premiere at the Broadway Capitol in Detroit, MI on March 28, 1955. 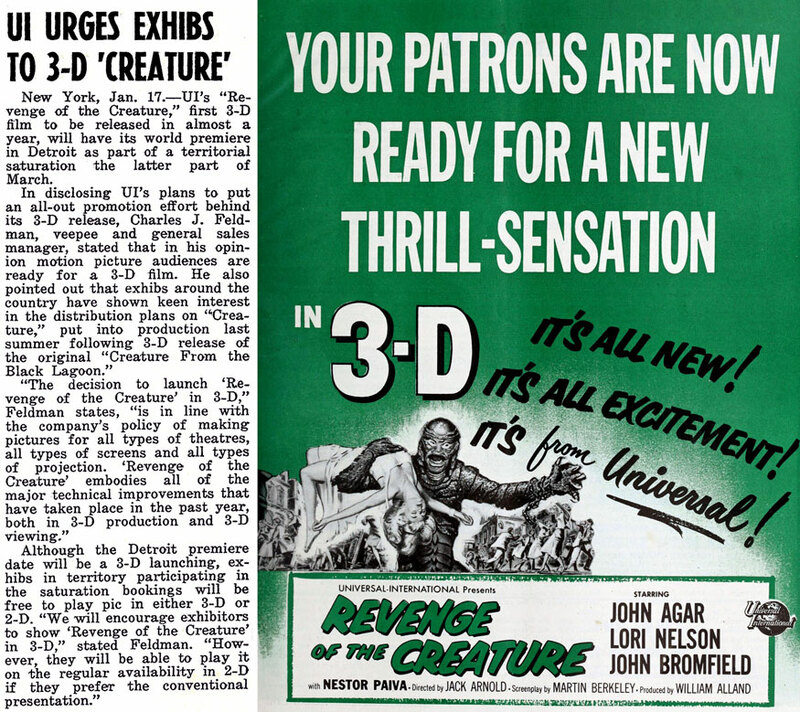 Rather than invest monies into a new 3-D production, U-I tried some test engagements in Syracuse and Wichita of CREATURE FROM THE BLACK LAGOON and IT CAME FROM OUTER SPACE in late 1957. Business was better than anticipated so both films were put into general release for 3-D bookings. 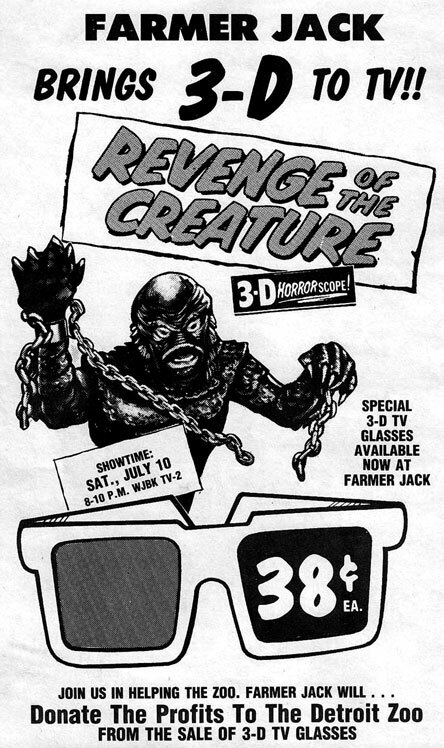 The studio did not produce another stereoscopic feature until Alan Landsburg Productions began filming JAWS 3-D in Orlando, Florida on October 11, 1982. 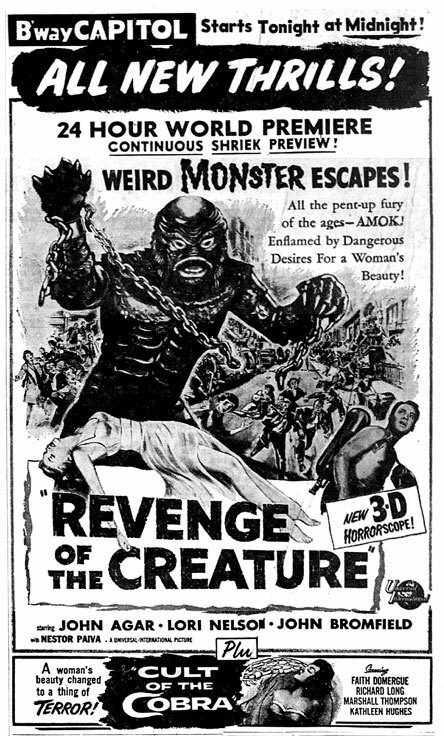 Long before the days of Betamax, VHS tape, LaserDisc and DVD, Castle Films released an 8mm version in 1965 for the home market. 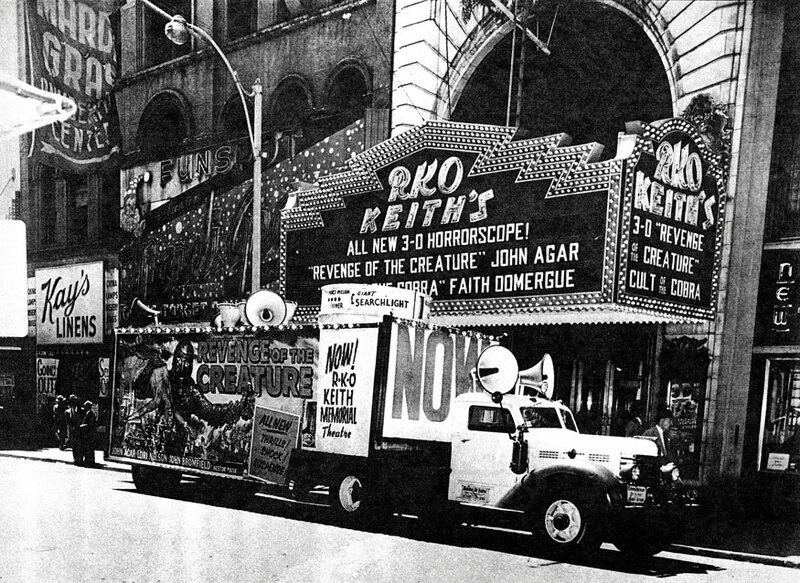 The Complete edition ran just over eight minutes and the Headline edition was a very brief two and a half minute version of the film. 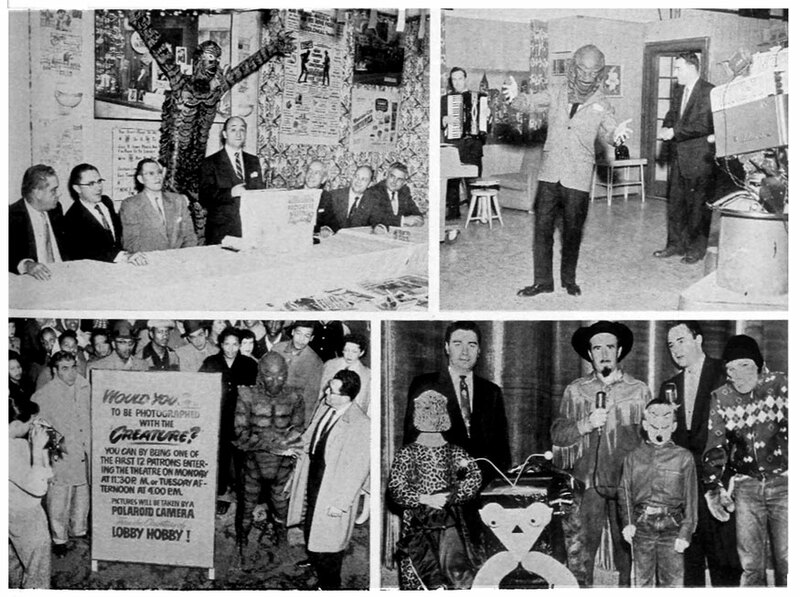 Castle Films changed their name to Universal 8 in April 1977. 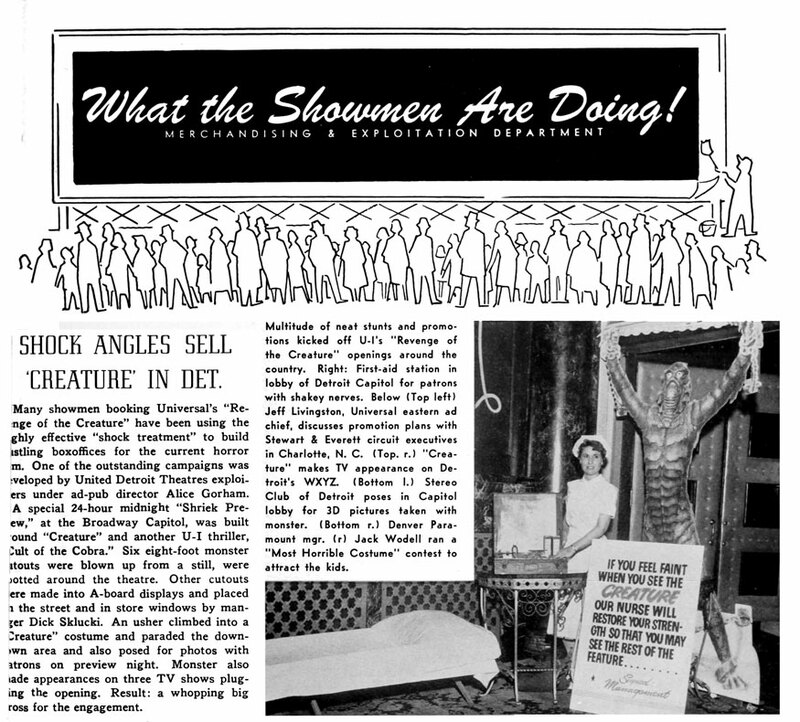 Every Golden Age feature was first shown theatrically in high-quality dual-35mm polarized 3-D.
3 Stooges short, SPOOKS. 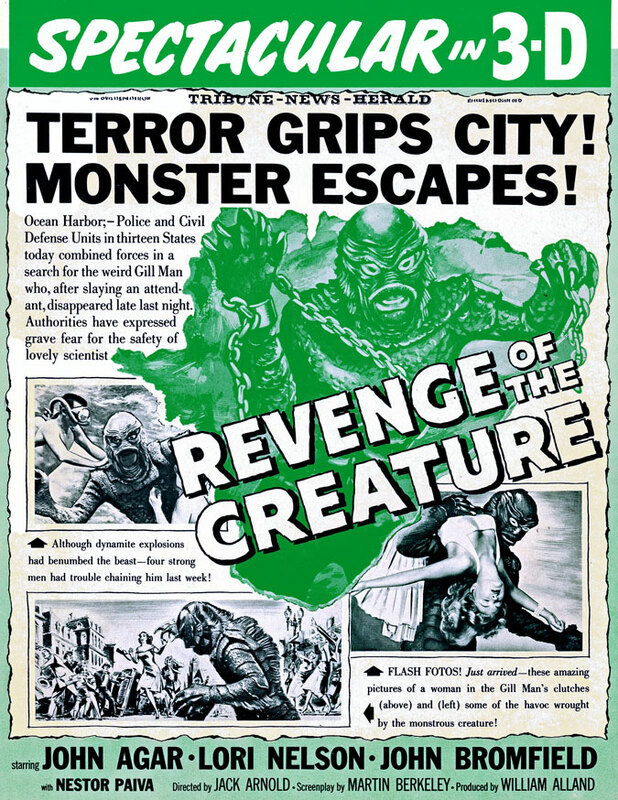 Columbia released two sixty foot 8mm Headline editions in 1965.
open-matte version was released on Blu-ray in Germany in 2015. 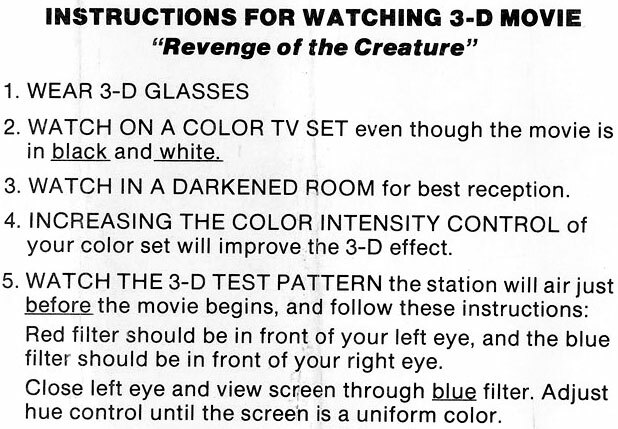 After 37 years, it's time to finally retire this headache-inducing anaglyphic conversion. 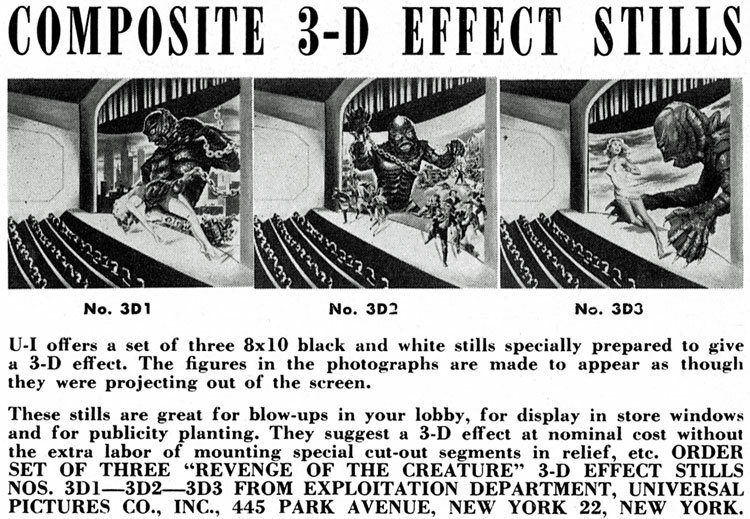 and stereoscopic alignment by 3-D Film Archive! 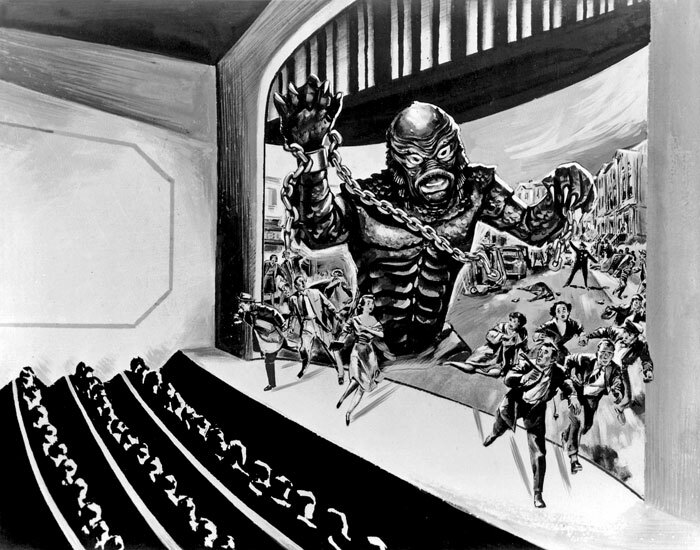 master files were sent to Greg Kintz at the 3-D Film Archive. 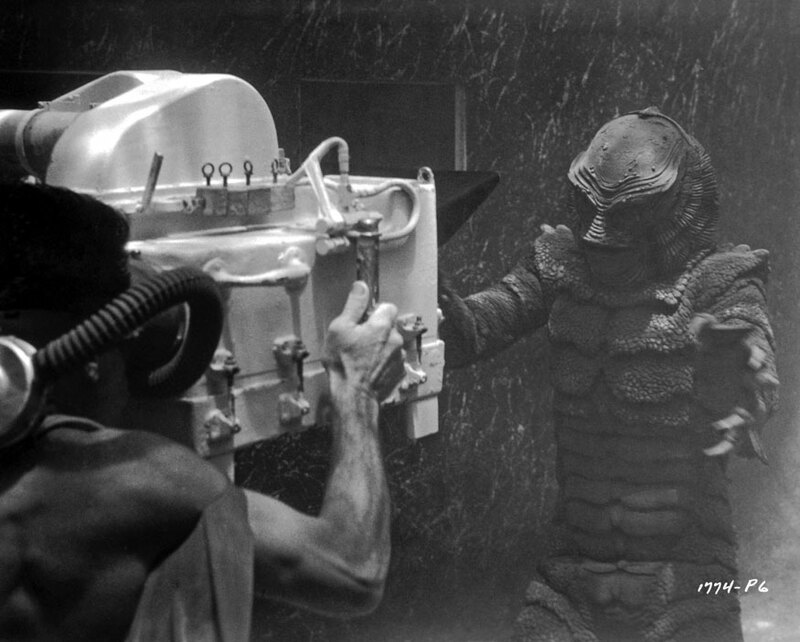 There are many baked-in stereoscopic issues with this production. 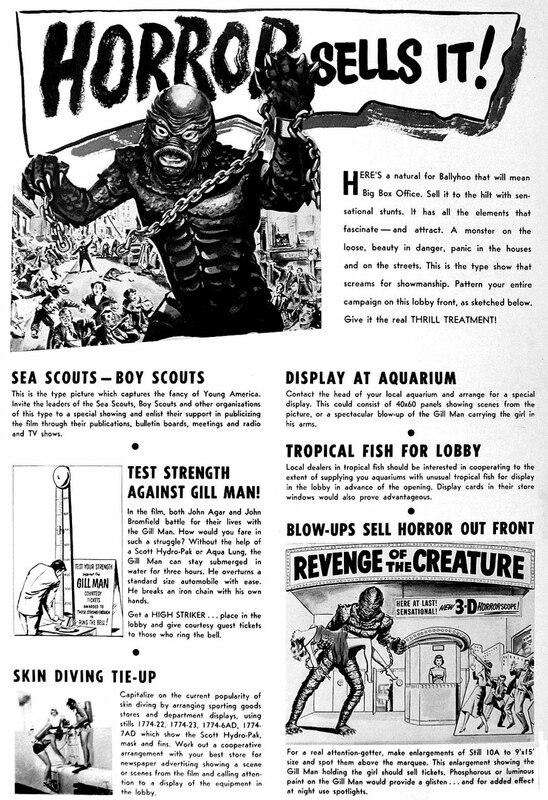 Universal-International had dismantled their underwater 3-D rig sometime in early 1954 when 3-D movies seemed dead at the boxoffice. 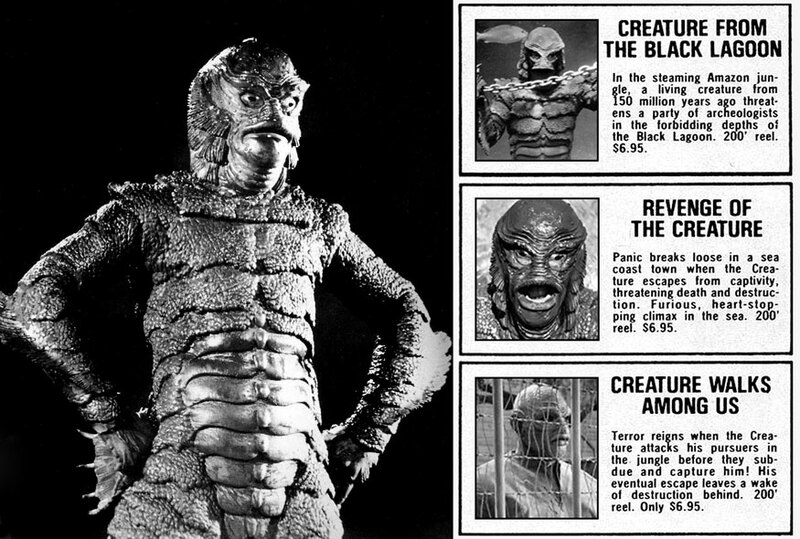 They quickly assembled another rig for the start of production on RETURN OF THE CREATURE on June 25, 1954. 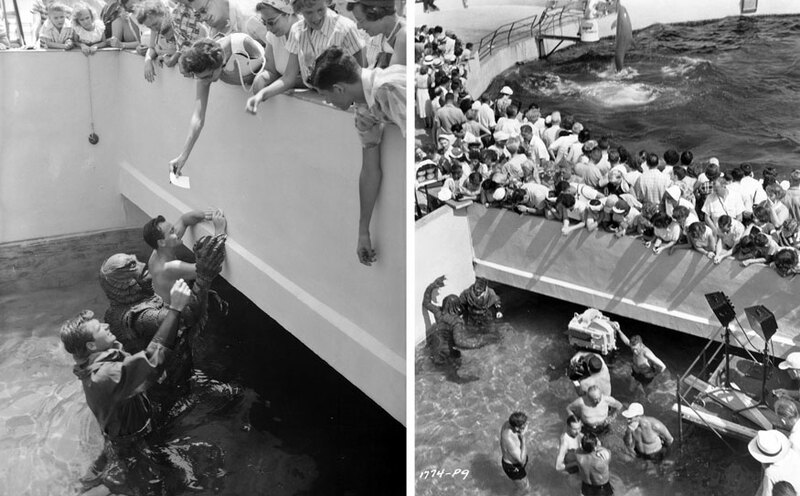 There are shots where the camera shutters are out-of-phase (a watery image) which cannot be fixed. 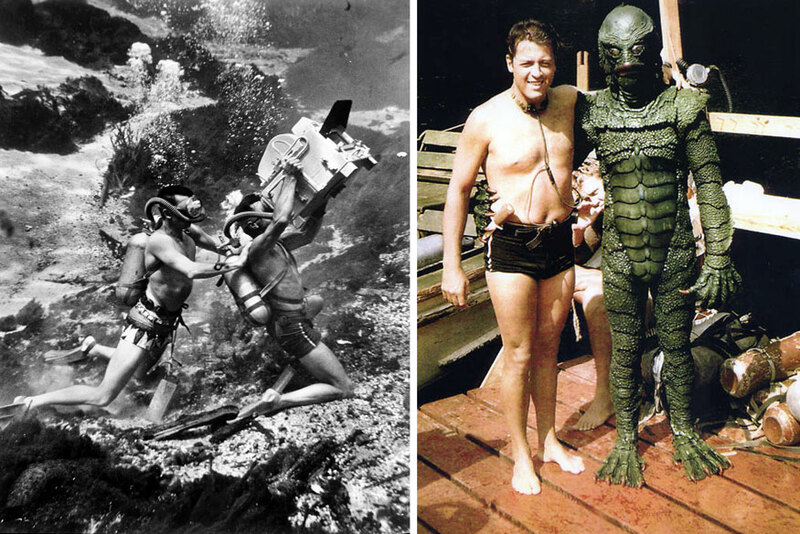 Also, an unprecedented nine days with camera malfunctions on location in Florida resulted in multiple 2-D underwater shots and those are still flat. However, all issues with vertical mis-alignment have now been corrected. 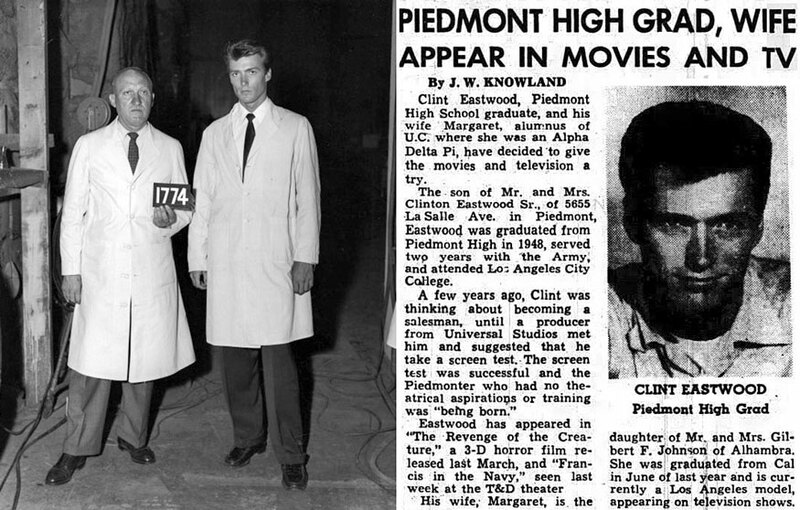 In addition, editor Paul Weatherwax inadvertently cut a number of shots reversed into the assembled camera negatives (left on right) and those have also been fixed. Bologna, Italy at Il Cinema Ritrovato on June 23, 2018. Y LA ESPADA aka SWORD OF GRANADA, JIVARO and many more!